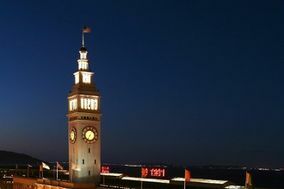 Having survived the two biggest earthquakes of the last century and years of neglect, the landmark Ferry Building has recently been reinvented as a shining beacon of waterfront life. 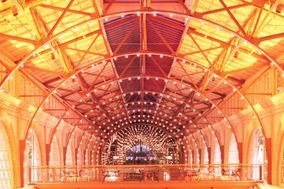 In its current incarnation, the 1898 structure boasts high-end stores, restaurants and a farmers market that draw enormous crowds, happy to experience the revamped interior of the building. 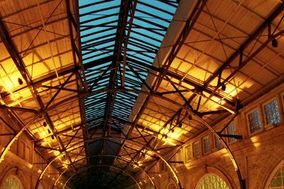 What these people may not know, however, is that above the shops, up on the second floor, is a dazzling area known as the Grand Halland its now available for all kinds of special events. The entrance couldnt be more dramatic, as you ascend the stone staircase right off the Embarcadero into the upper realms of this historic structure. 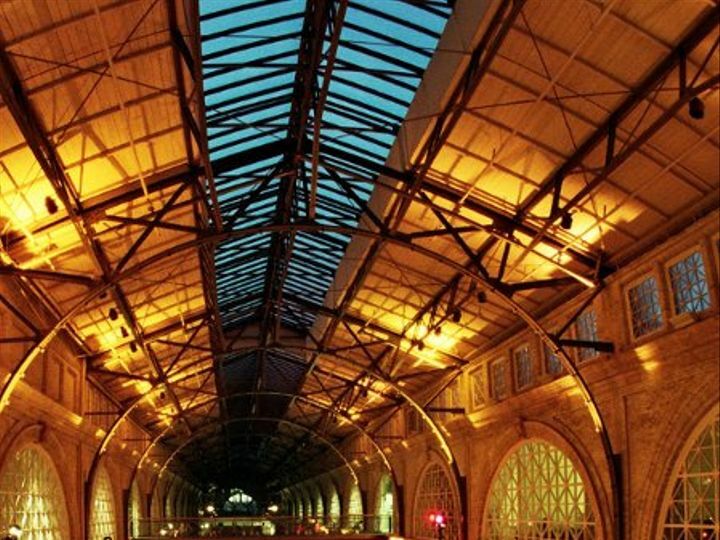 Once youre inside the Grand Hall, giant steel beams and repeating lattices guide the eye upwards to the ceiling, which soars nearly two stories high with intricate metalwork and arches running the length of the hall. But dont forget to look down: at your feet is a gorgeously refurbished mosaic tile floor in shades of brown and green. An enormous tiled seal of the State of Californiawith its ships, miners, and water motifsadds another layer of history. 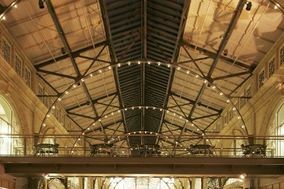 At 5,200 square feet, the Grand Hall is an inspiring and versatile space for weddings, cocktail receptions, and corporate events. The exclusive event manager for the property, the renowned Paula LeDuc Fine Catering, does extraordinary things to transform this vast tabula rasa into whatever world you envision. Using screens, hedges, draped fabric, props and custom lighting, LeDucs expert planners can divide the hall into discrete sections, each one with a specific look and purpose: a bar, buffet, dance floor, dinner seating, and stage miraculously come together in your dream configuration. Guests move from one area to another, experiencing a continual sense of surprise and wonder as each new "environment" reveals itself. 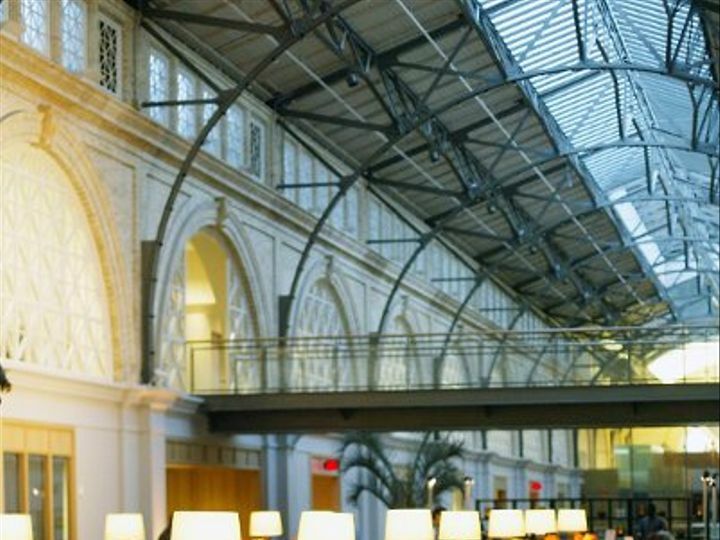 If you want a separate place that offers a more intimate ambiance, rent the adjacent Port Commission Room and its small lobby in conjunction with the Grand Hall. This room faces the Bay, providing not only gorgeous views, but a quiet getaway for your guests and an ideal location for a dessert and espresso bar. 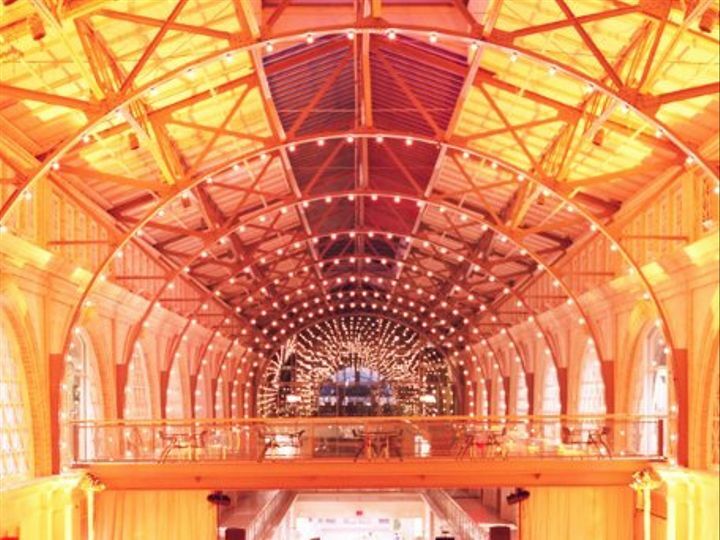 Every aspect of your event experience, from setting the scene in the Grand Hall to serving topnotch cuisine, happens courtesy of Paula LeDuc Fine Catering. For the past 25 years, the company has maintained its reputation as one of the most well-respected, full-service caterers in the Bay Area. Theyve also been recognized nationally by Grace Ormonde Wedding Style Magazine and Martha Stewart Weddings. Here at the Ferry Building, Paula LeDuc Fine Caterings specialists take advantage of the excellent local vendors who share the building, buying many of their ingredients from farmers selling their produce at the Saturday market, as well as from shops downstairs like the Cowgirl Creamery and Acme Bread. 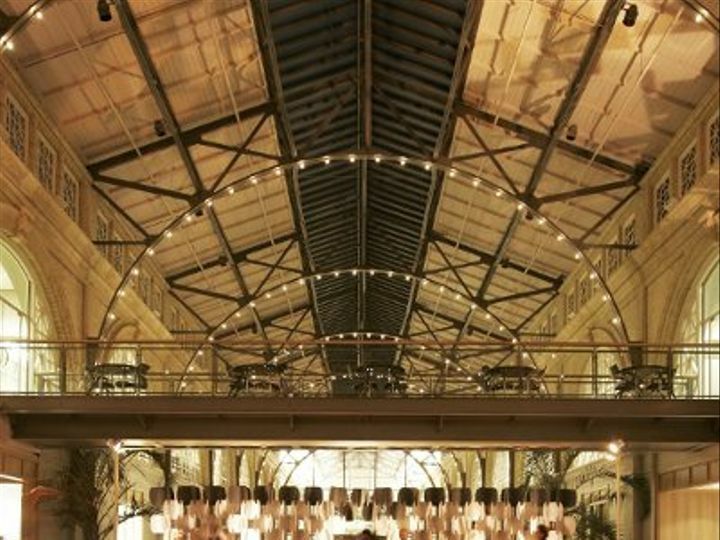 Scrumptious foods and a dynamic atmosphere make the Ferry Building an enticing weekend destinationespecially if youre looking for a unique event space. 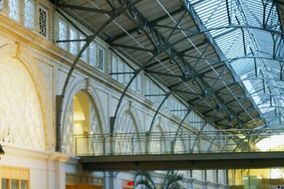 Pick up some fresh fruits and veggies or a crusty loaf of bread, and while youre drinking in the energy of this revitalized place, pop upstairs to check out the Grand Hall (which is open to the public). You may end up going home with a bag full of goodies and a place to get married. Paula LeDuc Fine Catering also has an exclusive Napa Valley Estate. Please call for details.